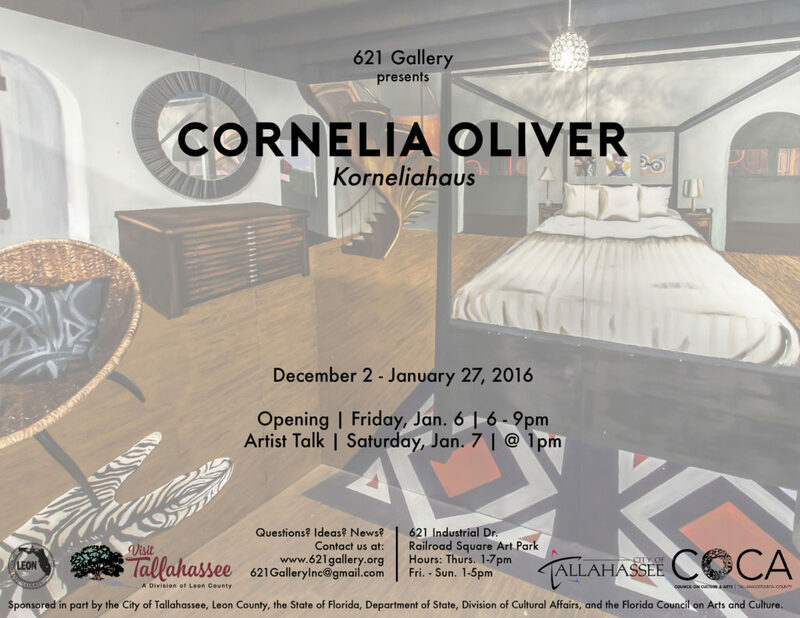 This January, 621 Gallery is excited to continue to present Cornelia Oliver (Tallahassee, FL) with her multi-media installation “KORNELIAHUAS” in both front and back main galleries with the addition of Samantha Burns (Tampa, FL) and Naghmeh Farzaneh (Rochester, NY) with their collaborative multi-media installation “Day by Day” in the Nan Boynton Memorial Gallery! All three artists will participate in a free, and open to the public artist talk at 621 Gallery on Saturday, January 7th at 1pm where they will share details and insights about their work. This exploration into forced perspective, surface, interactivity, abstraction and figuration, has led me to create a second, printed body of work stemming from my popup installation space. I have had the wonderful pleasure to work with some extremely talented printmakers, photographers, technicians, & engineers, to create an engaging fingerprint, and ENTIRELY NEW body or work, stemming out of my installation space. I am beyond excited to see this print show realized, and view my crazy KORNELIAHAUS installation in a whole new light. Thank you to everyone involved who helped make this dream a reality. I very much hope you are able to visit “KORNELIAHAUS: Home” as well! 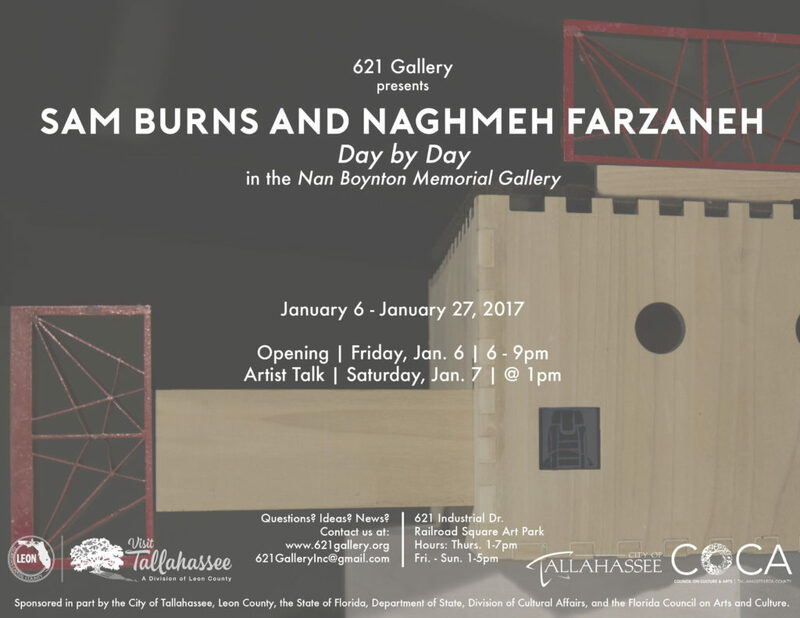 “Day by Day” is the start of a series of collaborative projects from artists Naghmeh Farzaneh and Samantha Burns. Cultivating interdisciplinary practices, this interactive installation is an effort to show that despite growing up in different places, having different experiences and opportunities in life, at the core we are the same; human beings. Though on the surface cultures seem so different from one another, at their deepest levels they share vital commonalities.